Jack and Max, a photo by shaunadieter on Flickr. On Saturday Max went on a Cub Scout trip to the Des Moines Science Center. The troop earned the trip by selling popcorn. 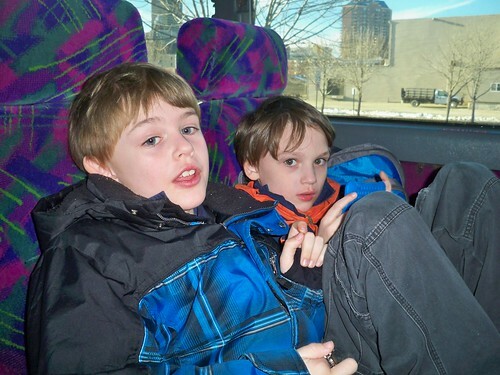 This picture is of Max's best friend Jack and him on the bus they took.